on such a small shed. In February 1958 with the redrawing of regional boundaries the lines south of Halesowen Junction (by the present Longbridge Station) were moved from the London Midland to the Western Region. As a result Redditch Shed became a sub shed of Bromsgrove which because of the same regional changes had become 85F (originally 21C). 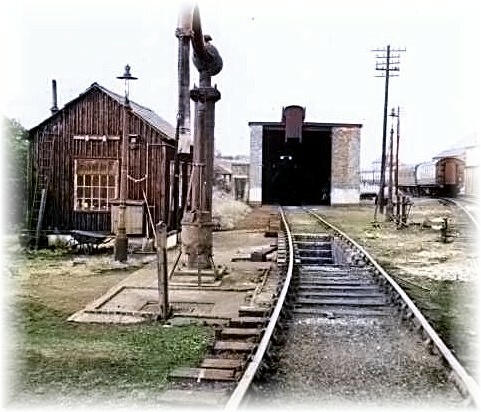 Shed closures in the early 1960’s changed the code to 85D in January 1961. The shed also had quiet primitive coaling facilities. The Redditch shed remained open until 1 June 1964. At that time station pilot duties at Redditch were transferred from steam to diesel operation with Saltley Shed in Birmingham providing a 0-6-0 diesel shunter (normally a Class 11 locomotive). 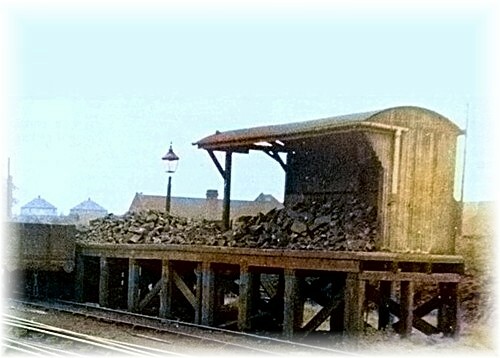 On closure, the Redditch shed was demolished by simply filling the inspection pit with the rubble from the walls. 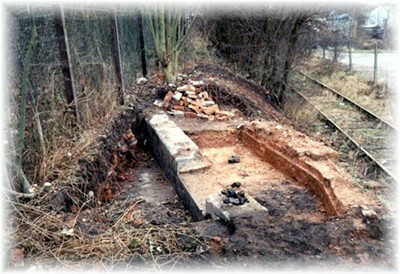 In the 1990’s members of the Redditch Railway Society, who at the time had a lease on part of the adjacent former T&M Dixon coal siding, excavated a large part of the shed site. It was found that the inspection pit and floor were still intact under the brick rubble from the walls when the shed was demolished.